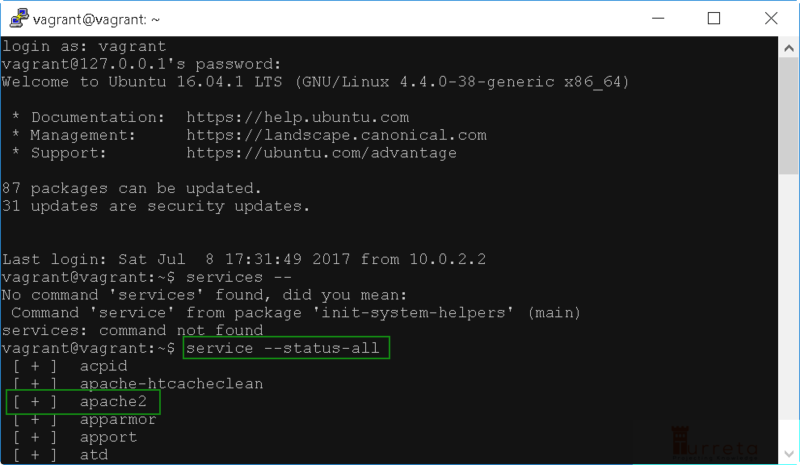 This post shows how to configure vagrant to allow access to Apache2 web server (URL to Apache Ubuntu Default Page) running in virtual machine from the host system. After we start the virtual machine, Apache2 web server is not accessible. However, the web server is not accessible from the Windows host machine. The solution is to modify your Vagrantfile. To fix our issue, we need to uncomment the highlighted line and restart our virtual machine. Invoke the following commands one after the other. We now can access the web server!